The goal isn’t to merely be successful, but to live and leave a legacy. Today, the highly anticipated release of Author and Business Advisor, Randy M. Long’s book, “The BraveHeart Exit” through Next Century Publishing is finally here! Author, Randy Long knows that the transition out of any business is likely the largest financial transaction of a person’s life, including up to 70-90 percent of their net worth. There is no doubt someday everyone must exit their business, and it is vitally important to start preparing now. Time is money, and any delay may reduce a business owner’s opportunities for tax planning and to create a lasting legacy for their family. The sooner business owner’s reach preparedness, the more likely they will exit well. In his new book, The BraveHeart Planning Process™ Randy helps readers create and execute their own road map for success. At its core, it’s planning at the nexus of business and family. A successful plan provides business owners with the choice of when they transition, whom they choose to transition to, and the amount they will need for financial independence, all while it strengthening family ties along the way. As an attorney, Randy has advised hundreds of business owners over a thirty-year career, regarding the sale or transition of their businesses. He has also prepared and administered many estate plans for families who have left their businesses to their children. He knows what works and what doesn’t. He understands business decisions that build families—and those that destroy them. 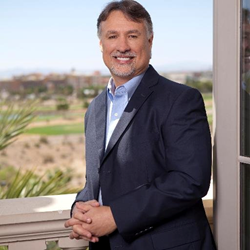 Randy M. Long, JD, CFP®, CExP™, creator of the BraveHeart Planning Process™, is the CEO of Long Business Advisors, LLC, a consulting firm that provides business coaching and BraveHeart Planning™ to business owners. He is also the president of Long Family Office, Inc., a multi-family office working with high net worth families. More about Randy and his multi-family office can be found at http://longfamilyoffice.com. Married to Lydia, they have five children and reside in Wilmington NC.